Cedar Home Maintenance are a building company in Hythe, Kent. Their website is built using WordPress and the Divi theme making it responsive and readable on any device. We took their old website and brought it up to date, using their existing content and images as well as introducing key elements needed to rank well in the search engines for a variety of search phrases. We also updated their Google business listing to cover more building sectors which reflected the work they do. The results spoke for themselves with a jump in search position for a number of key phrases and the first enquiry coming in after a couple of days. Hopefully Cedar Home Maintenance will get the contract and the website changes will have paid for themselves within days. 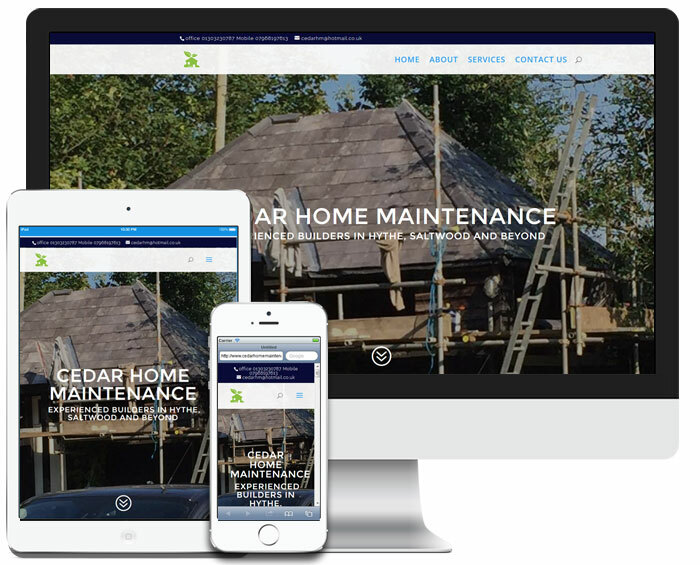 The WordPress Content Management System gives the Cedar Homes Maintenance team the ability to add and amend the content without having to get in touch with OakesMedia for every little change to fees or opening hours, making it a cost effective solution in the long term.